In the Hidden Valley, Queensland vicinity, Puzzle Creek and Deception Creek flow into Running River combining with Star River which contributes sizable proportions of flow in the Burdekin River. 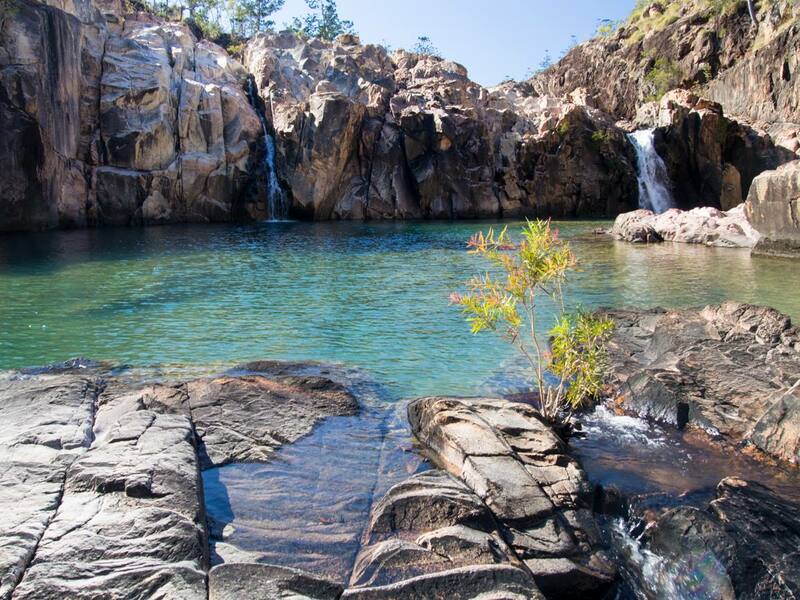 Not far away from this area is Paluma Range National Park and the Mount Zero Taravale Nature Reserve which also has its own very similar gorges and waterfalls. Great place for rock climbing and crags; there are plenty bolted climbs between the mouth of Puzzle Creek and Running River. It's a playground for adventurers, with large swimming holes, deep water soloing, bouldering, and many cliffs for the rock climbers. It's also very easy to access and not many people know about it, so you are guaranteed to have it all to yourself. Access this area via the Hidden Valley Station, Zig Zag Station or other private property - permission may be required. Set up a rope sweep, highline, waterline, or flying fox! I've also been told that people have rafted down the river in full flow - now that would be scary! If you've into wildlife, park near the bridge and have a go at platypus spotting - see map below. There also seems to be remains of a campfire here. Puzzle Creek flows into Running River. It is best walked in a downstream direction because the vegetation points down hill and this way you won't skewer yourself as easily. I would also recommend planing this hike with a car shuttle. It is a winter activity as these inland bushland areas can become very hot in summer. The journey starts well upstream of Puzzle Creek and you will then start walking downstream along rocky banks of the creek, a bit of rock hopping, across some sandy beaches, and you'll also have to climb up beside some waterfalls. The main waterfall is quite spectacular when it is in full flow, but is still impressive site in its state of suspended animation. Just downstream from here Thunderbolt Creek joins Puzzle Creek, then we have our final push long after a couple of right-angled turns to St Peter's Gate. 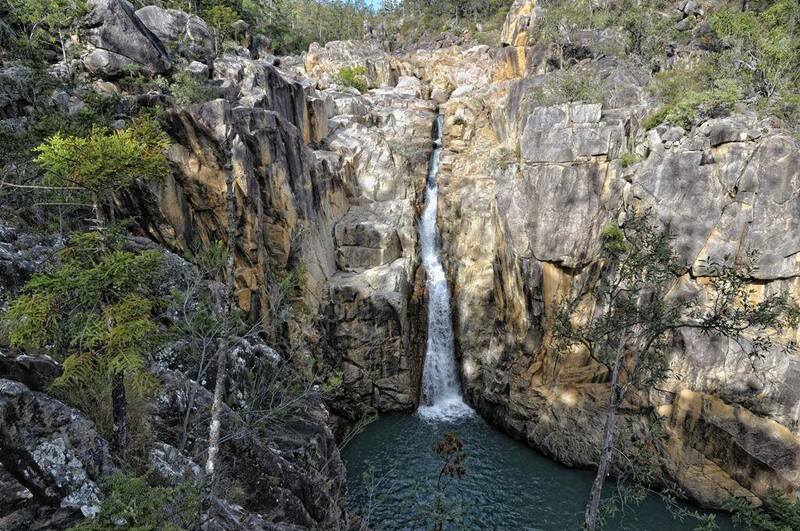 This spectacular rock formation and waterfall with plunge pool is the jewel in the crown of Puzzle Creek. It is no more than a 20 minute walk from here to the confluence with Running River. Climb over the bread knife edge and jump across the river. There are climbing anchors for an old ropes course about halfway down the creek left behind from an adventure race back in the 1980's or so. You could potentially set up a highline for some cliff to cliff action. It doesn't feel as remote as it deserves to be because of the power lines that cross overhead and the Duke of Edinburgh's Award and Cathedral School camp out here so you may find a little bit of rubbish (please pick it up) and fire pits. 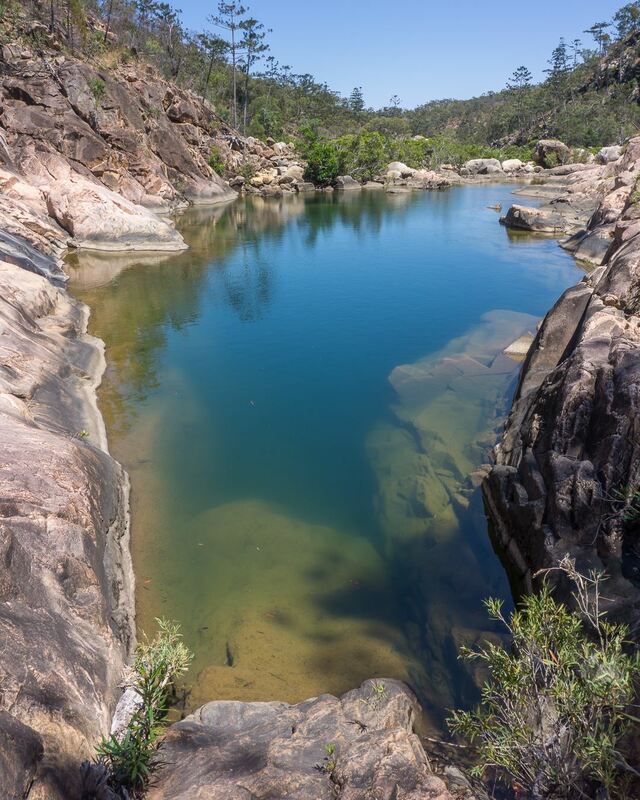 Thunderbolt Creek runs into Puzzle Creek and is home to Communist Cave and another magnificent cave that contains aboriginal art works and stone tools. 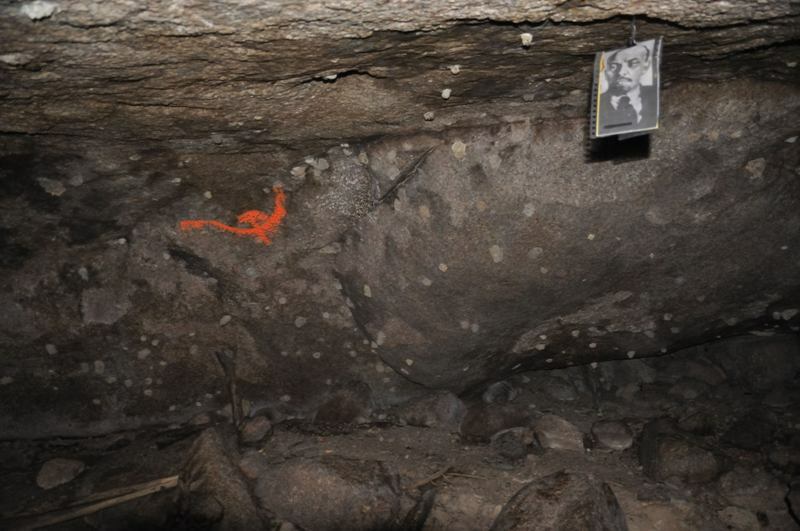 Communist Cave was used back in the 1930's to house The Communist Party's illegal printing press. The original hammer and sickle and other artifacts have since been thieved. The cave itself is not a cave as such, but a cavity under a granite outcrop. Very low to ground, you'll need to crawl in the cavity on western side of the 'boulder'. The aboriginal rock art is on the high hill above on a rock overhang. 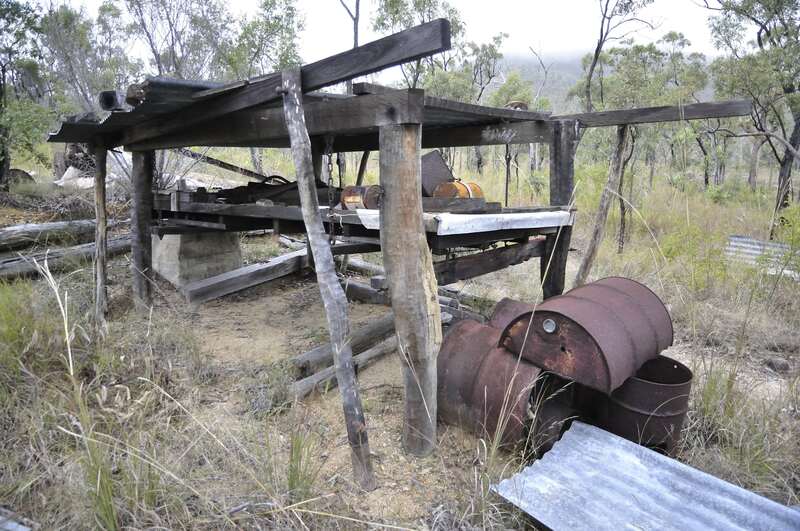 Goanna Mine was a tin mine (now abandoned) on a hill between South of Thunderbolt Creek. The old house and several car and trucks remains are down below near the creek. 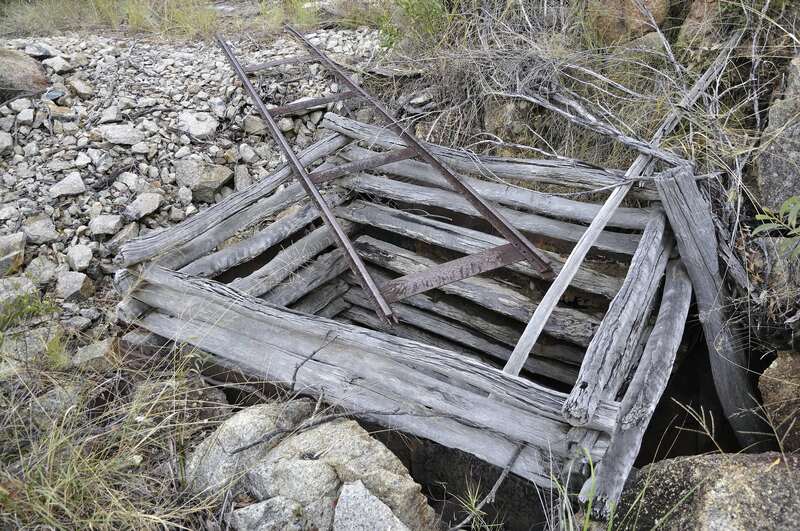 Wolfram, bismuth and molybdenum were also mined at the Horseshoe Mine and Pink Lilly at Horseshoe Bend, Running River. Also in this area is Deception Gorge but it's probably not worth a long hike just to see it though.